South Freeport, ME - Gordon Andrews Glover, 93, a longtime resident of South Freeport, Maine, died April 11, 2018 at Bay Square in Yarmouth, Maine. Born in Melrose, Massachusetts, he enlisted with the U.S. Army Air Force immediately following his graduation from Melrose High School. As a B-17 Flying Fortress pilot, he was still a teenager when he flew the first of 30 missions over Nazi Germany during World War II. At the end of the war, he met Lynn Lewis, a Wheelock College student, on a blind date. They celebrated their 70th anniversary this past summer. Assisted by the GI Bill, he graduated with a journalism degree from the University of Tennessee. Gordon began his career as a reporter and New England news chief for the Associated Press; later, he was the award-winning editor and publisher of his own weekly newspaper, The Citizen of Morris County, in suburban New Jersey. He worked in Washington, D.C., as a speechwriter for a United States senator, and in New York City as Editorial Page Editor for the New York Daily News. Environmental issues animated many of his lifelong passions, and as program officer with the Geraldine R. Dodge Foundation, he worked to fund many environmental initiatives—his support helped return wolves to Yellowstone Park -- and he was instrumental in the creation of The Environmental Grantmakers Association. He enriched every community he was a part of, including serving on the Family Services board of Morris County, NJ, and the Mountain Lakes, NJ, School Board. He was also a founder of the Woods & Lakes Run, a Mountain Lakes tradition now in its 41st year. He continued to work, with dignity and consequence, just as hard in retirement in South Freeport, Maine. He served on the boards of the League of Conservation Voters, the Natural Resources Council of Maine, and several national environmental boards. Locally, he served on the boards of Freeport Community Services, and the Freeport Rotary Club. He enjoyed and was challenged by the great outdoors. 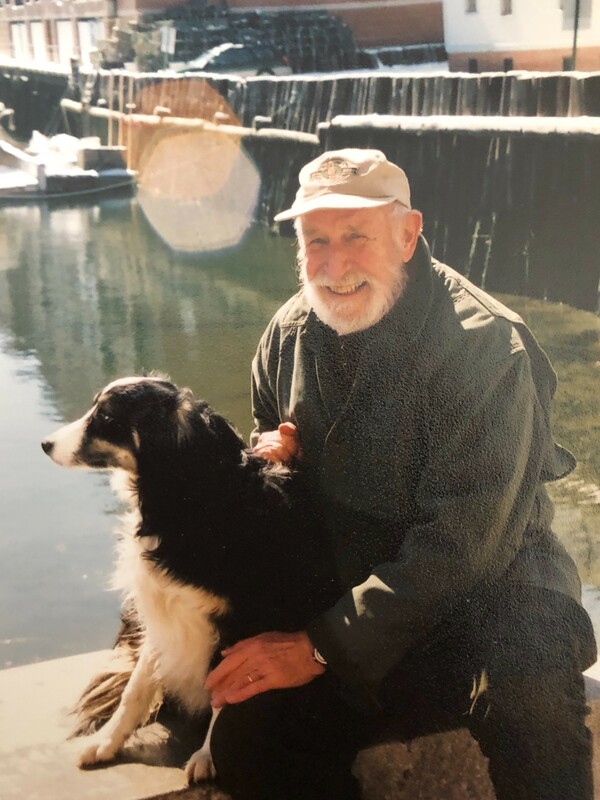 He loved hiking the Appalachian Trail; swimming at the Freeport YMCA; sailing on both coasts; skiing at Sugarloaf; and soaring above the Delaware Water Gap and the White Mountains in his glider. His beloved wife, Lynn, passed away in January. He leaves his four children: Susan Lynn Glover; Margaret Christina Douglas (Gerry); Barbara Glover Shane (John); William Lewis Glover (Mary Lynn); and eight grandchildren - Alison Douglas, Chloe Douglas Brehm, Charles Shane, Riley Shane, Reed Godlewski, Margaret Glover, Sara Jane Glover, and Ginny Glover Bowen. He was overjoyed to welcome his first two great-grandchildren this past year. The family thanks the staff at Bay Square for their kind and loving care.